Wright Tax Solutions, LLC offers its clients a large selection of tax services and is conveniently located in East Cobb at 3225 Shallowford Rd NE, Suite 900, Marietta, GA 30062. Our clients include - individuals, couples, families, small business owners and professionals. *Complimentary tax consultation to review prior year returns. 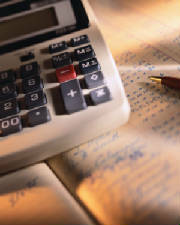 * Tax planning and preparation for individuals and small businesses. * Assistance with delinquent filings. * Competent, fast and reliable service. Additionally, we work with professionals in other service areas to make sure that your personal financial plan is the best fit for you. Through our relationships with Certified Financial Planners, Insurance Agents, Mortgage Lenders, Real Estate Agents, and other professional service providers, we can introduce you to the people that will assist in making you Financially Fit! Need assistance with the Affordable Care Act? Contact us now at 770-841-9301.